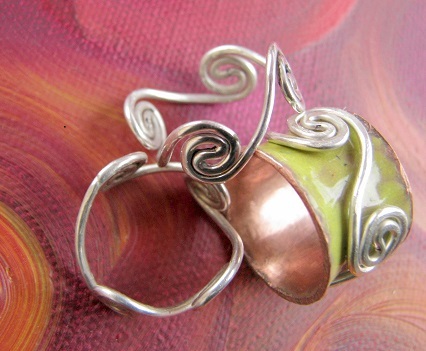 Join artist Natalie Sorenson to learn plier techniques that form perfect waves of sterling silver. This elegant ring flows through flat and three dimensions before it rests on your finger. An excellent first-time soldering project and a breeze to size to your exact happy place! Materials included. Ages 18 and up or 14-17 with adult.